I love to swim. I always have. Besides my new found love of yoga, swimming has always been the most serene form of physical activity for me (I hate to call it exercise because that word connotes torture for me). I can swim for an hour solid and not think once "Is it over yet?". 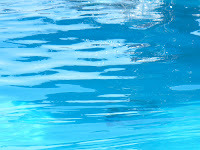 I find when I'm in the pool swimming laps, my body totally relaxes, my thoughts subside, and I just breathe. All my worries float away and I just focus on the stroke and breathing. I find that the 60 minutes I'm in the water is like meditation. In fact, it is meditation for me. Is it because the water muffles all outside influences? Or that I'm alone in my own suspended world? There is no looking around in the pool, comparing yourself to others. It does not matter what size you are. 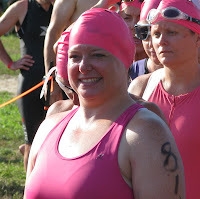 I've completed several triathlons and the swim is always my favorite part. For other participants, it terrifies them. 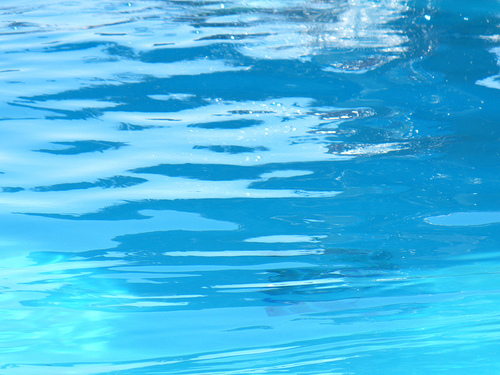 Swimming is a gentle and effective form of activity. It provides excellent cardiovascular benefits and increases your lung capacity better than running. It is also a very important life skill, one that can save your life. But never did I think it would become a form of meditation for me. I find that if I am away from the pool for too long, I miss it terribly. My mind gets too filled and burdened. Swimming puts me in my happy place and returns my zen to me. Have you found an activity that has turned to a form of meditation for you? If not, I highly recommend swimming!